In addition to eliminating foot calluses, these products also fight the presence of fungi, remove dead skin cells, and protect your skin against infection. Calluses are hard, yellow areas that form on the feet due to excessive pressure or friction. They are considered to be an aesthetic problem and can sometimes cause pain, while the skin can crack and lead to infection. They appear more commonly on the feet, but they can also develop on the hands and other parts of the body that are exposed to continuous friction. Calluses are often caused by wearing shoes that are too tight, as well as walking around barefoot and engaging in demanding physical activities. The good news is there are several natural solutions to reduce these hard spots and recover your soft skin. Today we want to share some of the best options with you so you can try them before your calluses lead to more complicated conditions. Both castor oil and apple cider vinegar have powerful antibacterial agents that cleanse damaged skin and protect it against infection. Add the liquid soap to two liters of hot water and pour this into a large container. Add the apple cider vinegar and soak your feet for 15 minutes. After this time, rub the hard surfaces with a pumice stone to remove any excess dead skin. Dry with a soft towel and finish by rubbing castor oil on the affected areas. Repeat this treatment for 10 days. This method will soften the skin that’s affected by calluses. The antiseptic and antifungal properties of onions help eliminate bacteria and reduce your risk of fungal infections. Pour the apple cider vinegar into a glass jar and add the slice of onion. Leave it in a warm place for 24 hours and then use the onion to cover your calluses. Use the adhesive bandage to stick the onion to your skin and leave it on while you sleep. Repeat this procedure until the callus is soft enough to remove. While bread isn’t a very common remedy, when you combine it with apple cider vinegar it’s very useful to soften foot calluses. 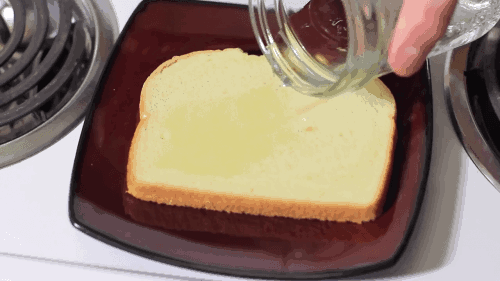 Soak the slice of bread in the container with apple cider vinegar and affix it to the affected area using the bandage. Cover with plastic wrap and leave this on overnight. Repeat this treatment until the callus disappears. Aspirin contains a substance known as salicylic acid, which when applied locally serves to reduce the presence of dead skin cells and stimulate skin repair. Its topical use reduces the size of calluses, minimizes scarring, and leaves you with a nice clean feeling. Crush the aspirin with a mortar and pestle and mix them into the apple cider vinegar until a paste forms. Spread this product over any calluses of the feet and cover them with a bandage for an hour. After this time you can remove the bandage, rub the area with a pumice stone, and rinse. Use this at least three times a week. 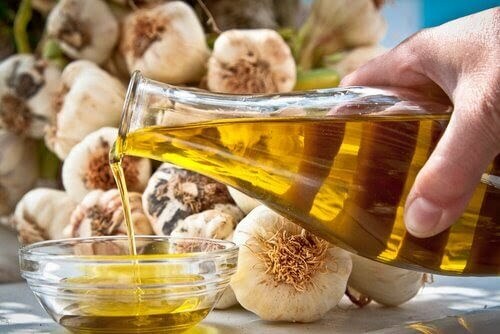 The antifungal properties of garlic fight foot fungus and reduce problems such as itching, cracking, and dryness.Olive oil softens any hard areas and decreases the damage to your cells that’s caused by free radicals and toxins. Separate the cloves of garlic, peel them, and mash them using a mortar and pestle until you have a paste. Combine them with the olive oil and leave this mixture to sit for two hours. After this time, wash your feet well and apply the product to the affected area, affixing it with the help of the bandage. Put on the socks and leave it to act overnight. Repeat this treatment two times a week. Choose the treatment that most catches your eye and remember to complement its use with comfortable shoes, regular water consumption, and the use of hydrating lotions.